Englewood School Repurposing Project | R.A.G.E. 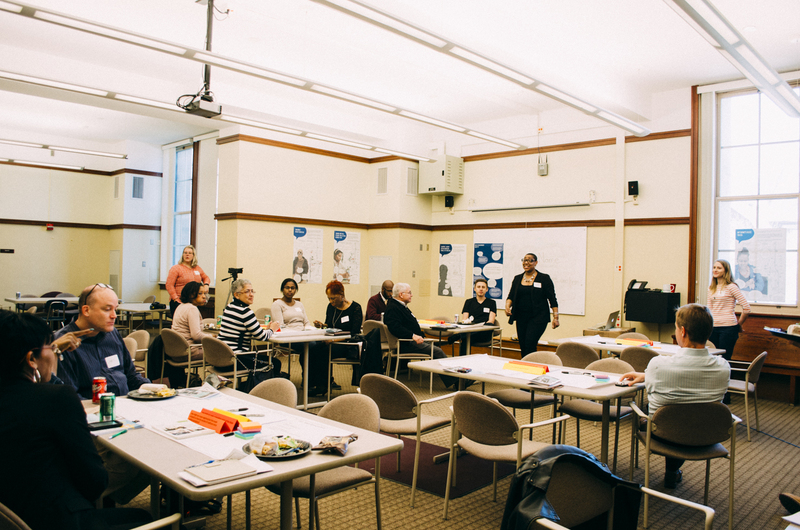 Many Englewood residents have expressed a desire for a local public space to foster community connectivity and communication, as well as to provide a space for education, entrepreneurship, and entertainment opportunities. 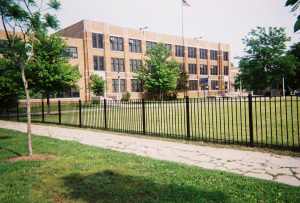 In 2013, six community schools were closed in Englewood and West Englewood, making it one of the communities most affected by the largest single wave of public school closures in American history. RAGE has been at the forefront of pushing the discussion so that community will think about how to save these assets. 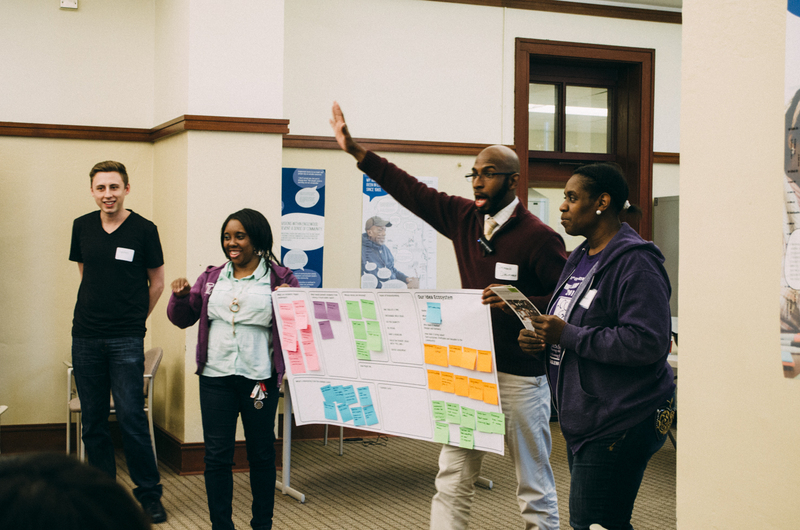 This project aims to explore how Englewood community members envision using a vacant school building to meet longstanding desires for a local public space. This project, a partnership between R.A.G.E and IIT Institute of Design was a way to learn how the community would like to develop and use public space. 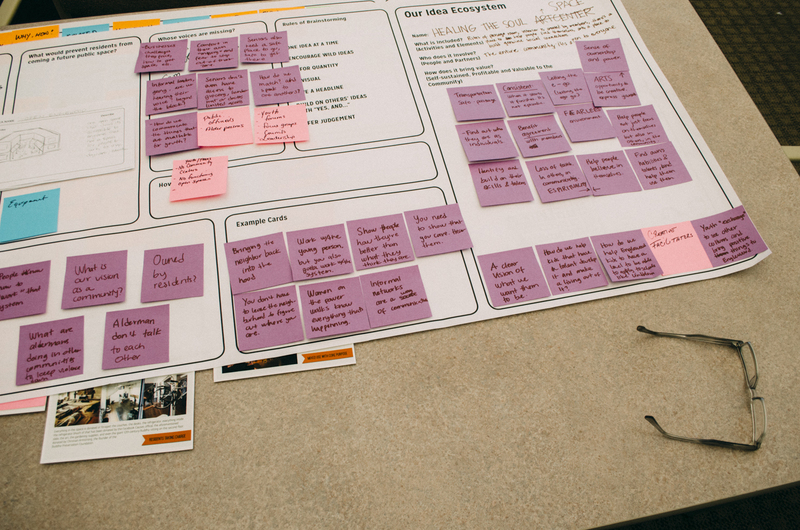 From January to May 2014, the Repurpose team iterated through a social innovation design process in order to develop a deliverable documenting this thinking. This document could be used by community stakeholders to continue the discussion and development of concepts at the conclusion of the engagement between RAGE and IIT Institute of Design. Over the course of four months, the Repurpose team captured and documented community wants and desires in three stages: learning about Englewood’s neighborhood and residents, extracting themes about the social and economic context in Englewood, and community and other local community spaces around the globe, and conducted a large community brainstorming retreat.